Roll up! Roll up! Come and see the amazing circus and train set. Or maybe you fancy a look at the fire station? Whatever your little one’s desire, Janod has the answer. This company does toys so well. Their style is retro, wooden toys that let children’s imaginations run wild. The French brand makes beautifully designed and finished toys to suit babies, toddlers, pre-schoolers and school-aged children. Their fabulous circus and train set is excellent value. You pay $129.95 for fifty-two pieces including a twenty-six piece railway set, four piece train, circus bus and caravan, six performing animals, eight performers and seven circus accessories. So your budding circus performer can chose to play with the animals, the train, the circus or the whole lot! For something a little more dramatic, there’s the fire station complete with ambulance, helicopter and rescue train set. It’s a thirty-six piece set for $119.95. This scooter-style balance bike is super cool. It features a height-adjustable seat and inflatable tyres. It comes in vanilla or mint for $169. 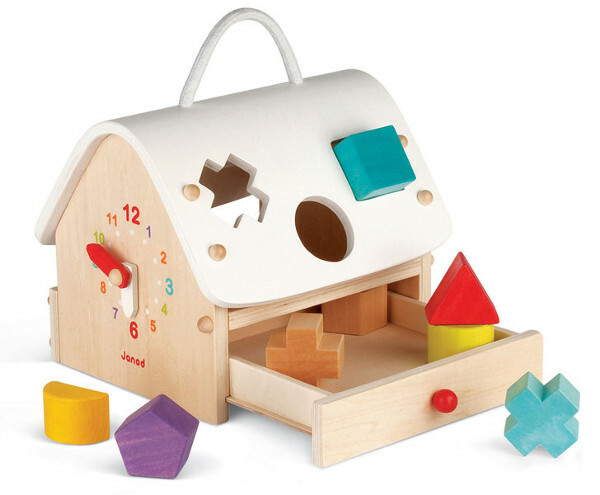 For the bubs there’s the gorgeous wooden house shape sorter. It has a learning clock at one end, a carry handle plus a neat little drawer to store the eight shapes. At $54.95, this be will a keepsake to pass down through the generations. Babies and toddlers will also enjoy the Babywood Bird, which nests three wooden birds much like a babushka doll (and just as adorable). 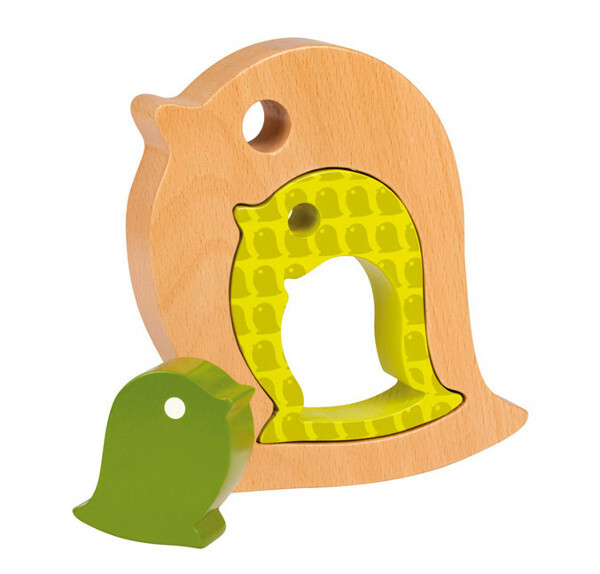 Janod makes a similar Babywood Whale – both sell for $39.95. If you’re hunting for something little as an add-on for a present, take a look at the bunny skipping rope. 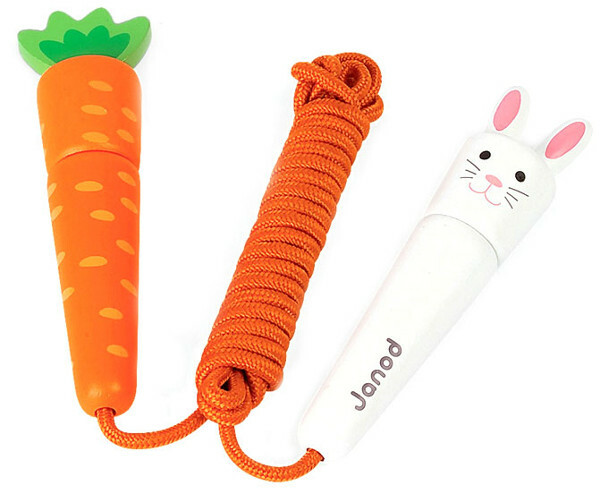 Kids will love the cute bunny and carrot handles. For $13.95, it will have them hopping for hours. 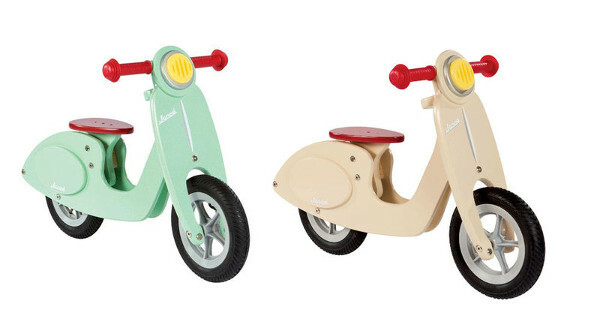 Janod toys can be found at Urban Baby, where there is lots more to choose from.